Denim is that one fabric that absolutely anyone can wear. It is versatile, strong and a wardrobe must-have. 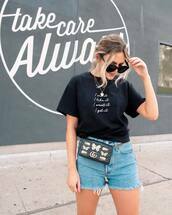 We are all Tumblr fans and have seen our favorite cute summer style, and that is the place we can find inspiration for the perfect pair of vintage high waisted denim shorts. Styles range from frayed bottoms to roll ups, from washed out to studded hipster shorts. Some will have embellishments and others will have prints. 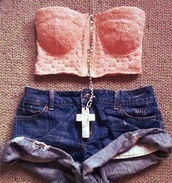 We can match our shorts with a crop top and sneakers or just a sweater and boots. It is time to show off our legs in a pair of high waisted denim shorts.